Sonaksha Iyengar, a Bangalore-based artist is using the alphabets to bust the misconceptions about mental illness: her thoughtfully compiled and gorgeous illustrations titled “a to z of mental health” is sending powerful messages to depict what it feels like to live with mental health conditions/disorders as well as creating awareness to end the stigma surrounding them. A-to-Z of Mental health is part of the ‘ 36 Days of Type,’ a project challenging artists and illustrators to focus their designs on letters of the alphabets. 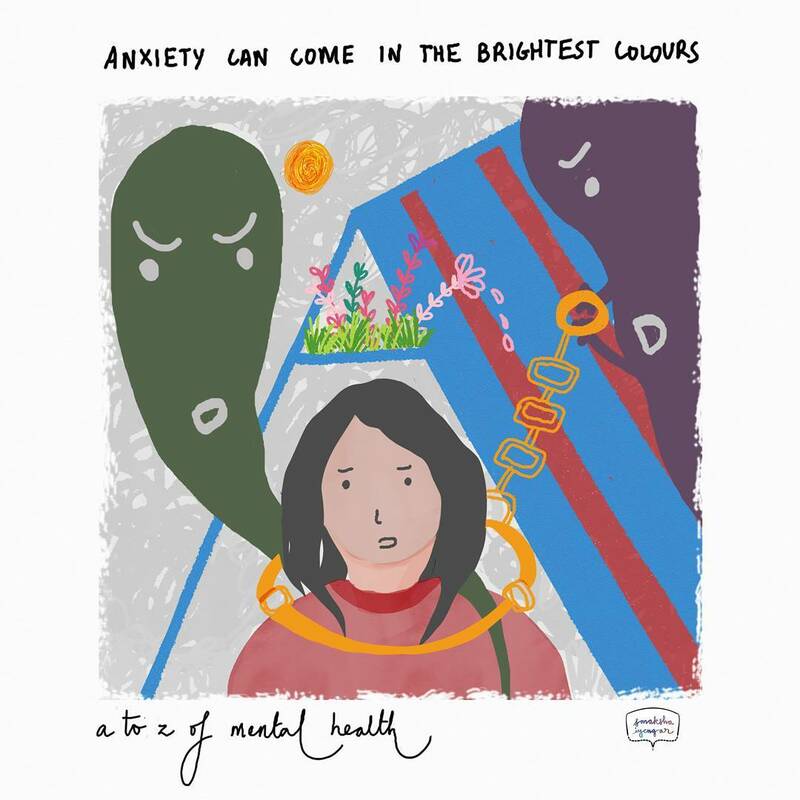 The 22-year-old Iyengar who has struggled with her mental health in the past decided to make hers’ a compilation of the artistic interpretation to mental conditions and disorders in A-to-Z format, with the inclusion of some powerful and empowering phrases.